We are about 40% through this feature. 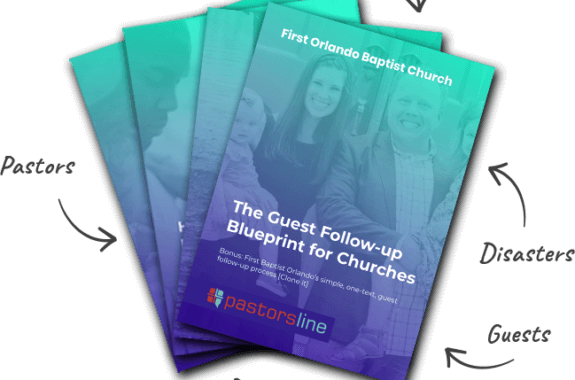 Pretty soon, you will be able to invite your entire team to use PastorsLine. We are thinking about four main roles. Admin (that’s the default role we assign all users) – You can do and see everything. Each admin added will have complete control and will need to be assigned a unique number but they will be able to see all numbers, conversations, and send from any number they want. Admin Helper – The idea is for pastors or church communicators who want to give access to their account BUT to do so without sharing their login details. This person will see EXACTLY what the admin account they are assigned to sees. They will be able do the send messages etc. They will be sending from the admin number that they are helping. User – This is a limited view where they will only see the groups they are assigned. Would not be able to add or delete users or change billing or account level settings. Perfect for your church leaders whose only concern is to communicate with specific groups. Each user will have a unique number to engage. User helper – The difference is that this user is sharing a number / access with another user. Similar to the admin helper, the user helper will be able to see everything that is shared within that user group, sending messages and getting replies. We consider ourselves the “Facebook” of text messaging. We are focused on text. There are several other services out there that are more focused on calling a.k.a. voice broadcasting. Currently, our system can also voice broadcast but we plan on improving this system. You can currently do text-to-speech or upload an MP3 file. Soon, you will be able to record from your desktop or mobile device and send a broadcast that way as well. Improvements in our website widget, attendance tracker. Sync all or some of your contacts from your phone to the app. Add a contact tab and management. Add a group tab and management.